Check out our interview section, where we get up close and personal with Artistes,fashion designers, celebrities and iconic individuals within the Afro-community. AU: Can i start by saying thanks for honoring our invitation to this interview session at Afrocentricity Unleashed. Radical 77:Thanks for hosting me. AU: For the benefit of our readers, who is Radical 77 and how did you get that name? Radical 77 : Okay, I’m Radical77 not a typical one aka Olaonipekun Olabode Osoba,and the Radical came from my mum due to my way of seeing things differently and standing my ground, from my childhood. AU: Tell us what growing up was like? 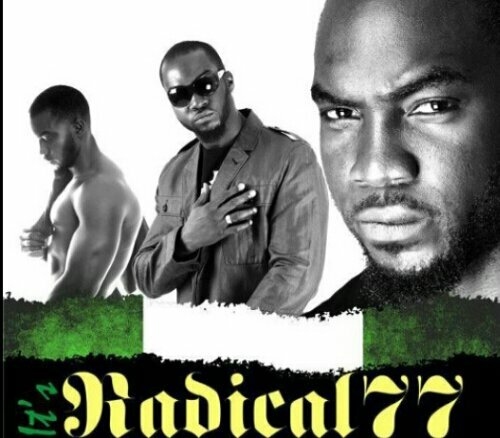 Radical 77: Growing up wasn’t that easy in Lagos and the UK as my family experienced some unsettled life,but life is really beautiful and it entails a lot of ups and downs which really shaped me into who i am today; my lyrics potrays that. AU: When did you start your musical career? a professor at my unversity encouraged me to try rap, as my style suits can be likened to more consious-styled rap. AU: So how has the journey been so far? Radical 77: I really thank God since my journey has been awesome, and i consider myself blessed.i can’t deny the effect of God and my Fans on my career since I started making it in the industry approximately 2 years ago. AU: Your style of Afrobeats is very unique since it includes a blend of the Yoruba language. How would you describe your style to our readers? AU Your shows have been known to be well attended, and it also cuts across a lot of social barriers.What is the secret behind this? Radical 77:It’s always By God’s Grace and i always get to know the fans i’m performing for before going on stage; that then determines the tracks i perform. For instance, before my western fans i would perform more of my western Oriented work and would do more of my afro beat before my afro fans. AU:You performed at the last “crack ya ribs” comedy show in Glasgow which was a huge success with the social media going riot. How was that for you? Radical 77: That was a great achievement i have to admit. The crowd was huge and i made my fans go wild. AU:Do you have any albums or demos in the offing at the moment which our readers can check out or buy? Radical 77: Yes I’ve released 5 Singles which can be accessed via,www.hulkshare.com/Radical77, www.soundcloud.com/Radical77 and www.reverbnation.com/Radical77. AU: And do you have Social media links i.e Facebook, twitter and the like? AU: Radica 77 it has been a pleasure to have you on our couch.We do wish you very best in your music career. Radicall 77:Really appreciate!Iit’s been really good fun lounging and chatting with you. Thanks a lot. 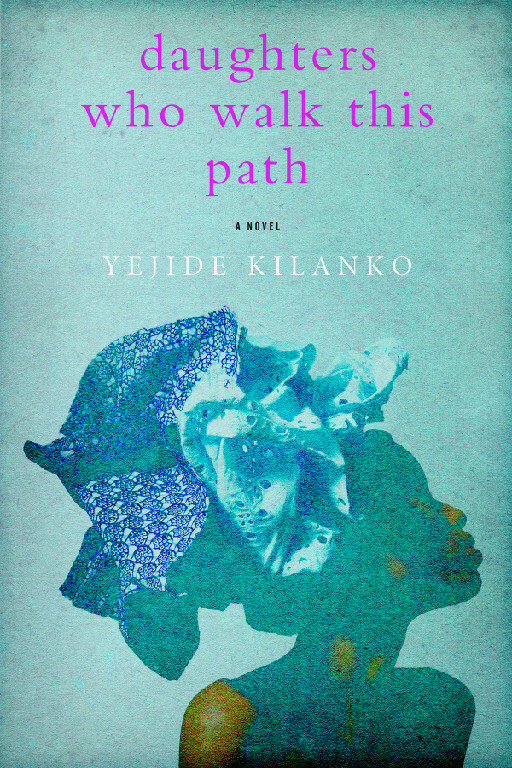 Daughters Who Walk This Path depicts the dramatic coming of age of Morayo, a spirited and intelligent girl growing up in 1980s Ibadan who is thrust into a web of oppressive silence woven by the adults around her. It’s a legacy of silence many women in Morayo’s family share. Only Aunty Morenike—once protected by her own mother—provides Morayo with a safe home, and a sense of female community which sustains Morayo as she grows into a young woman in bustling, politically charged, often violent Nigeria (http://penguin.ca) Afrocentricity Unleashed caught up with Yejide Kilanko, the author of Daughters who walk this path. Enjoy! Afrocentricity Unleashed: Can I start by asking (for the benefit of our readers), who is Yejide Kilanko? Yejide Kilanko: I’m a poet, short story writer, novelist and Social Worker in children’s mental health. I currently live in Ontario, Canada with my family. My debut novel, Daughters Who Walk This Path, was published by Penguin Canada in April 2012. Yejide Kilanko: I was born in Ibadan, Nigeria as the first of five children. My father, a retired university professor, shared with us his love of books and scrabble. So, I fell in love with words at a very early age. I subsequently spent six years at boarding school in Onitsha, a city located in the eastern part of the country. I’m very thankful for that experience and the friends I made. Afrocentricity Unleashed: When did you develop your passion for writing? Yejide Kilanko: I started writing poetry at the age of 12. It was the best way I dealt with the angst of growing up in very uncertain times. As a Political Science undergraduate at the University of Ibadan, I wrote for two student press organizations. Afrocentricity Unleashed: Were there any authors or books you particularly liked while growing up? Yejide Kilanko: A lot of the books I read came from the African Writer’s Series and from these, the works of Buchi Emecheta, Cyprian Ekwensi and Ama Ata Aidoo, really made me think about issues relating to gender roles and societal expectations. I also read a lot of the books from Macmillian’s Pacesetters Series. In my teenage years, I started watching and reading plays. Zulu Sofola’s Wedlock of The Gods and Athol Fugard’s Sizwe Bansi is Dead are favourites. Afrocentricity Unleashed: Your new book “Daughters Who Walk This Path” has received a lot of positive and some negative reviews locally and internationally with regards to the portrayal of ills of the Nigerian society. What do you have to say about this? Yejide Kilanko: I’ll like to say that I’m delighted that people are reading Daughters. It’s every writer’s dream. One thing all Nigerians, can all agree, is that there’s lots of room for improvement in our society. For that change to happen, we need to have ongoing, meaningful conversations. That I can be a little part of making these conversations happen, is an honour. Afrocentricity Unleashed: Would you say the issue of child abuse and the abuse of women is still a prevalent issue in Nigeria in the 21st century, or could we play safe and stick to a more comfortable fictional explanation? Yejide Kilanko: I definitely think that women and child abuse is still a big problem in Nigerian society. I know many people who have been affected and I’m not alone. While Daughters is a work of fiction, it does present an accurate picture of current events. Afrocentricity Unleashed: Would you say male chauvinism is highly prevalent in the African and Afro Carribean society? Afrocentricity Unleashed: Why would you say this? Yejide Kilanko: From what I know, African and Afro Caribbean societies are mostly patriarchal in nature. In my opinion, this only supports environments where male chauvinistic beliefs thrive. Afrocentricity Unleashed:In your opinion, what do you think the government, Non-governmental organizations or Charity bodies can do to rehabilitate children or women who are or have been subject to abuse? Yejide Kilanko: To me, the use of the word rehabilitation, suggests that children and women who have experienced physical or sexual abuse are somewhat responsible for their situation. I don’t think that’s the case. What they need is unflinching support from their families. Relevant services from NGOs working with that population. It’s also important that law enforcement personnel and judiciary, protect and provide opportunities for to seek redress. Afrocentricity Unleashed: So besides writing potential bestsellers, what are Yejide`s pastimes? 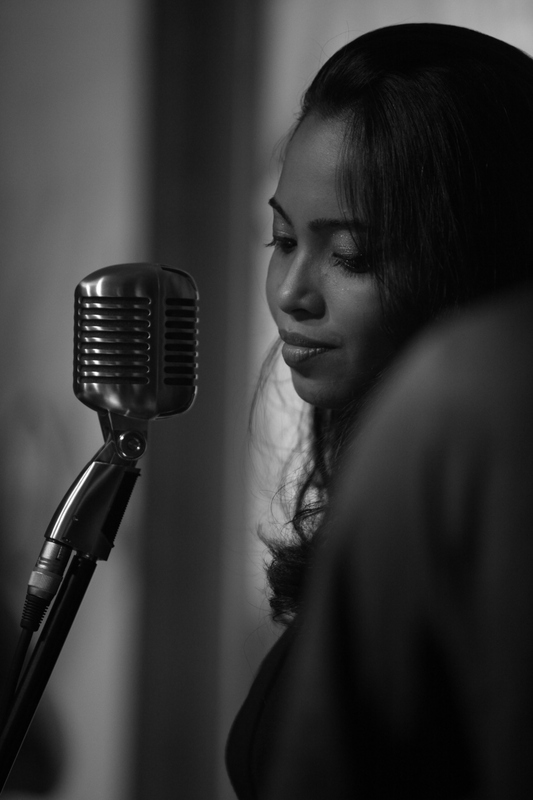 Yejide Kilanko: I love to sing and usually listen to music while I write. I also like to cook. I find the whole process of chopping and stirring, very relaxing. Afrocentricity Unleashed: What food do you like preparing the most? Yejide Kilanko: My favourite dish to cook is spicy jollof rice. My kids who love to eat it, call it red rice. They’ve told me to open a restaurant. Afrocentricity Unleashed: Is there any book in the pipeline which your ardent readers can possibly look forward to? Yejide Kilanko: My second novel is all written and due for publication in 2014. I’m currently researching a third. Yejide Kilanko: Read, read, read. Read books across different genres. You’ll learn a lot. A writer is someone who writes so don’t be afraid to put something down even if it doesn’t sound right. You can worry about fixing the sentences later. Don’t give up on yourself before you even begin. Seek feedback about your work. Don’t let it crush you. Practice does make better. Keep writing even when you want to give up. Remember to enjoy the process. Remind yourself daily why the heartache of writing and seeking publication is all worth it. Afrocentricity Unleashed: Can your readers connect with you on any of the social Medias i.e facebook, twitter and the like? Yejide Kilanko: I have a website http://www.yejidekilanko.com/ You can find me on facebook as https://www.facebook.com/YejideKilanko. Afrocentricity Unleashed: On a final note, is there anything you would like to say to your readers out there? Yejide Kilanko: Thanks for your support. It really makes all the difference. Afrocentricity Unleashed: Yejide, Afrocentricity Unleashed would like to wish you best of luck in your career and earnestly look forward to another opportunity to discuss with you when your new book is published. Yejide Kilanko: Thank you for having me and I look forward to coming back in the future. Afrocentricity Unleashed: We look forward to having you back. Thanks again.